From startup incubators and business development programs, to apprenticeships, higher education institutions and classrooms in the field, Salinas, CA boasts a variety of resources tailored to help agriculture entrepreneurs succeed. Among them includes Salinas-based Agriculture and Land-Based Training Association (ALBA), an organization that helps aspiring farmers develop organic farming and management skills, pursue the dream of farm ownership, advance their careers, and grow their ideas. ALBA provides the building blocks for success, and as is often the case in the Salinas Valley – the epicenter of agtech – sometimes these farmers even take organic farming lessons to the next level and create innovative new technology. That’s what happened with Heavy Connect, a Salinas Valley-based agtech startup that got some of its initial training through ALBA. To learn more about this, and all that ALBA does to help area farmers, we connected with Patricia Carrillo, Executive Director of ALBA. Can you tell us more about ALBA? Patricia: Our mission is to create economic opportunity for aspiring organic farmers in the Salinas Valley. We own a 100-acre training facility in Salinas, where we train students on all aspects of organic farming and running a farm business – learning things from crop protection, to pest management, to organic growing and business training. We also have an incubator program, which helps students launch a farm enterprise by leasing land and equipment at subsidized rates. What’s on the horizon for ALBA? Patricia: Right now, we’re trying to perfect our educational program. We’re working closely with Hartnell College to design modules for their farmer education program and strengthen our partnership to involve a wide range of people on our ALBA field, including college students, professors, business leaders and farm workers. How do you see technology changing the agriculture industry? Patricia: Technology is becoming a more integrated part of agriculture. We are embracing agtech on our land by doing things like installing solar panels to decrease electric costs and implementing irrigation management systems. We have also started working with local startup Heavy Connect to shift some of our food safety forms to online platforms. How are you working with innovators in Salinas? Patricia: We are working closely with Heavy Connect, whose founder took part in the Farmer Education Course (PEPA) at ALBA prior to launching his business. 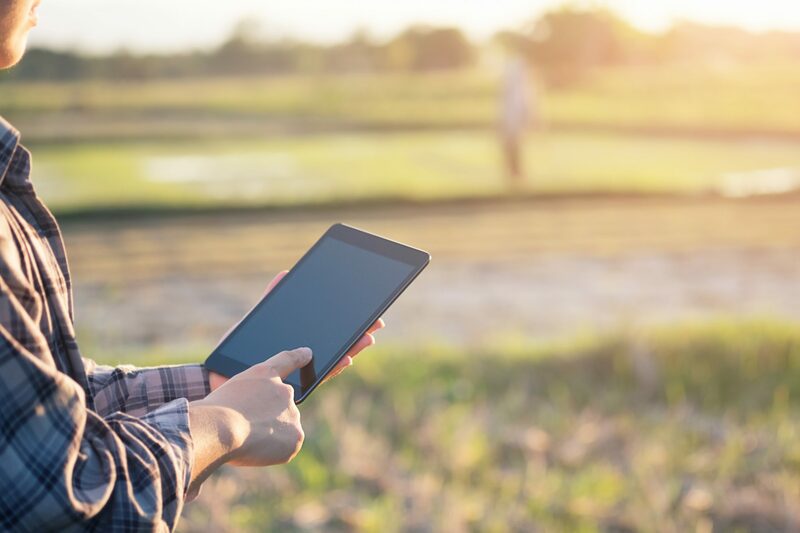 Heavy Connect creates customized apps for electronic record-keeping and we have piloted the Heavy Connect app in English and Spanish with a small group of our farmers, as well as incorporating the technology into our Farmer Education Course.